When I was a kid, I loved the book of Judges. It was full of violence and gore. There were tent pegs, strong men, lions, death, and destruction. I loved it. It made me think God would be an awesome movie director. Unfortunately, I was reading the book of Judges all wrong. 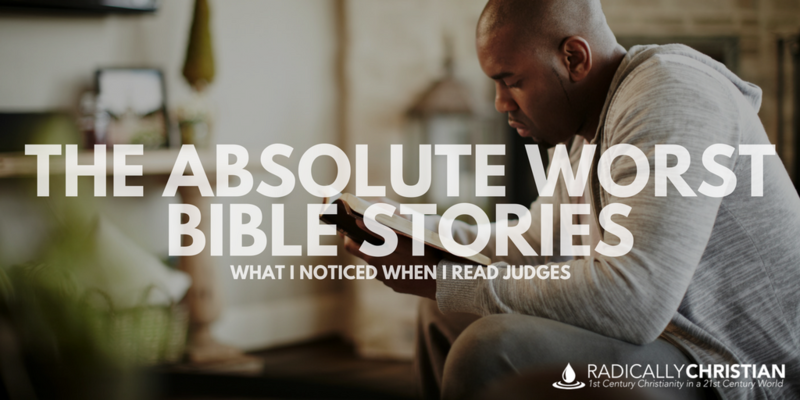 The book of Judges is a collection of some of the worst stories in the Bible. And if you don’t recognize them as the worst stories in the Bible, you’re probably not reading them correctly. Israel was supposed to drive the Canaanites out of the land of Israel; but unfortunately, Israel not only failed to drive the Canaanites out, they became exactly like the Canaanites in the worst possible ways. They raped, murdered, worshiped idols, and even sacrificed their own children. They were overcome by pride, lust, vengeance, cowardice, and idolatry. Even the good guys, the judges whom God sent to lead and deliver His people, were often as wicked as the people they were supposed to lead. From the beginning to the end, the judges themselves seem to get progressively worse. One judge sacrificed his young daughter. One judge married a Philistine, slept with a prostitute, and shacked up with a woman who tried to have him killed on multiple occasions. One judge said he didn’t want to be the people’s king, but named his son, “Abimelech” (My-Father-Is-King). That warped young man, by the way, grew up and murdered all of his brothers so he could rule. The book of Judges is absolutely spilling over with blood. People were whipped, stabbed, crushed, and burned with fire. Sadly, our glorification of violence and bloodshed makes young boys read this book and say, “Cool,” when we all ought to have tears streaming down our cheeks when we read these stories. There is nothing “cool” about it. On at least two occasions in Judges, ridiculous vows were made. Jephthah swore he would offer as a burnt offering whatever came out from the doors of his house to meet him when he returned home. As you probably know, his daughter came out the door. Jephthah was in a moral dilemma. “There shall not be found among you anyone who burns his son or his daughter as an offering” (Deuteronomy 18:10). “If a man vows a vow to the Lord, or swears an oath to bind himself by a pledge, he shall not break his word. He shall do according to all that proceeds out of his mouth” (Numbers 30:2). Jephthah was in a lose-lose situation. Which law should he violate? Should he sacrifice his daughter or break his vow? Which law was more important? As you probably know, Jephthah chose to sacrifice his daughter. Near the end of the book, this same theme is brought up again. The men of Israel chose to murder men, women, and children, as well as kidnap a bunch of young women, rather than break a vow they made to the Lord. Was that the right choice? Is YHWH really like pagan gods? Would He really want someone to murder rather than break their vow? Of course not! 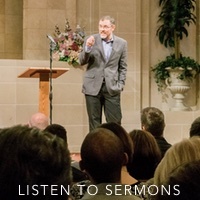 Why Are Judges Listed in Hebrews 11? Gideon beat and killed his brethren out of vengeance and ended his life in idolatry. Samson was a womanizer who died taking personal vengeance on his enemies. Jephthah sacrificed his own daughter because of his warped theology. The Hebrew writer is not saying these men were good men. He is not saying they were religious men. He is not saying we ought to imitate them. He is trying to inspire faith by reminding his audience that God has done seemingly impossible things through people. These men “escaped the edge of the sword, were made strong out of weakness, became mighty in war, put foreign armies to flight” (Hebrews 11:34), but it was God who gets the credit. The emphasis is NOT on the moral uprightness of these people but on the power of God. They had “faith” in the sense that they experienced a foretaste of God’s power. They had seen God do the seemingly impossible. It seems so hard for us to realize that there is no one to imitate in these stories. The point isn’t to find little nuggets of what they did well and make those moral imperatives. The proper response to the book of Judges is to lament. Even when – through the power of God’s Spirit – the judges were strong in one area, they were weak in other areas. All we know about some judges is that they judged and they died. When they were overcome by death, Israel reverted to her old ways and that judge’s long legacy came to nothing. It was like he had never lived, because there was no long-lasting change. In Jesus, we have received such a Judge. He is the one to whom every judge’s strength points, and the one who is not beset with any of their weaknesses. Praise God for His indescrible gift!